In a city that sees sunny skies almost year round, it seems natural that art too will find its way outdoors. 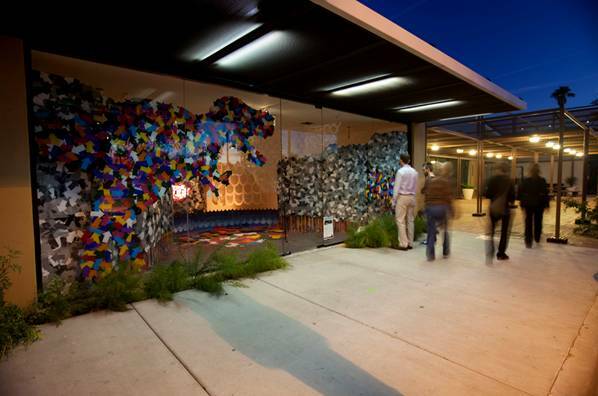 IN FLUX is a program that commissions, promotes and enables temporary and public art in and around downtown Scottsdale and Temple. It began in 2010 with the Scottsdale Cultural Council as a pilot program to help draw attention and interest to struggling businesses in the Marshall Way district. IN FLUX was such a success, both in the level of creativity and popularity, that it continued and is now in its second cycle of artists. It really is quite a unique opportunity for local artists—they get a chance to not only challenge themselves artistically, but they get a huge amount of exposure as well. Vacant storefronts that have been transformed into temporary art installations in not something you see every day here in the desert, so this program’s win-win quality certainly extends itself to all the passers-by, particularly in these parts of town, where foot traffic is heavy. 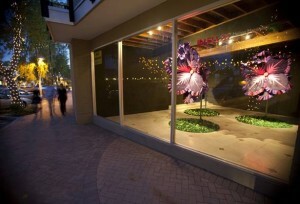 The IN FLUX installations will be on view starting this April until October. The five artists selected for IN FLUX Cycle 2 were Logan Bellew and Craig Randich in Scottsdale, and Peter Bigg, Christina Mesiti, and Mary Neubauer and Todd Ingalls on Mill Avenue in Tempe. Visit influxaz.com/map-routes to figure out where you can find the installations and more information.